if you’re interested in getting involved in this! At a recent Occupy Oakland General Assembly, we brought attention to the fact that there are several homeless mothers with children who’ve been involved in the movement and are currently struggling. As the OO anniversary rolls around, we’re hoping people can step up and support these mothers and their children. Since there currently is no communal space for them, people can contribute time and resources, assist in organizing, and share this information with others who may have resources to contribute. an affordable apartment for rent? Are you able to put a Mom and her child/ren up for a couple of nights? Over the next month we hope to organize an event to raise awareness about this issue, to ask for donations of goods or funds, and to organize an affinity or working group that can help build a sustainable commune where the needs of those who face the most challenging circumstances will be central. 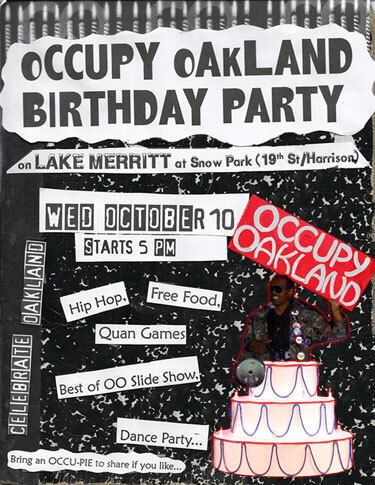 If any Occupy Oakland Committee is interested in helping in this area and working together, please let us know! We can be contacted at OOMothersAndChildren@gmail.com. Simultaneous classes for beginners and Advanced. Cryptography another essential tool for everyone, not just activists. The DA’s report was released last week. The DA refuses to prosecute Officer Miguel Masso for the murder of Alan Blueford. The DA’s report was full of lies and took no account of the evidence or the testimony of many witnesses. Come here the Blueford family speak. Come hear the lies denounced and the investigative failures exposed. Sponsored by the Justice 4 Alan Blueford Coalition. 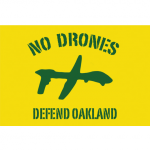 At a press conference to be held on the steps of Oakland City Hall on Thursday, October 18, at 11:00 a.m., Alameda County residents and legal advocacy organizations will announce their efforts to resist the Sheriff’s announced plans to deploy aerial surveillance “drones” for undisclosed law enforcement purposes. Hackmeet 3.0 is an unconference happening in San Francisco on October 20th, bringing together hackers and activists to learn from each other and collaborate. For decades politicians and bosses have forced working people to accept layoffs, increased healthcare costs, and no job security as a fact of life. This public forum will feature union members and activists. We’ll discuss what the Chicago Teachers Union struggle shows up about the power of working class people to challenge the profit system. Speakers include Kristin Roberts (CTU rank and file activist), Sal Rosselli (President, National Union of Health Care Workers), and Larry Bradshaw (SEIU Local 1021). diversifying its own tactics of repression.